Last Saturday 15th October, FTEJerez participated in the first international lifesaving meeting, sponsored by the National lifesaving federation, which took place in Motril, Granada. 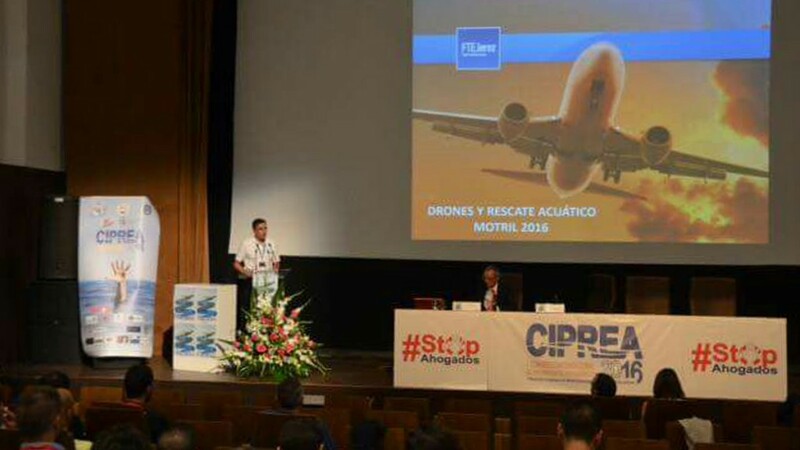 Miguel Caparrós, ATC & RPAS Head of Training, delivered a conference based on the use of drones for lifesaving and the future applications in search and rescue. A demonstration using two drones piloted by FTEJerez RPAS instructors was performed in Motril’s port on the last day of the show. During the exhibition, the drones proved how they can quickly reach people at peril and precisely drop lifesaving rings to offer immediate assistance whilst the lifesavers reach the target. FTEJerez, in partnership with the Royal National Lifesaving Federation, offers a course using drones for search and rescue. This course combines the basic drone course with modules that specifically cover the use of these devices in the search and rescue sector. More Info is available at www.ftejerez.com/rpas.